O2 is a leading provider of mobile and broadband services to consumers and businesses in the UK. O2 wanted a simple way for users to configure their new parental control service, designed to help parents ensure the safety of their children by restricting access to Internet sites available through mobiles. 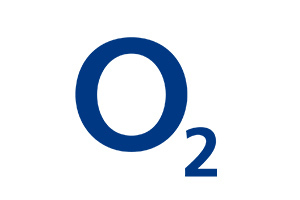 O2 UK is part of the Telefónica O2 Europe group which comprises integrated fixed/mobile businesses in the UK, Ireland, Germany, the Czech Republic and Slovakia - all of which use 'O2' as their consumer brand. As at December 2007, O2 had more than 40 million fixed and mobile customers across Europe and 29,000 employees across the Group. O2 UK has 18.4 million customers. O2 introduced the age verification requirement to ensure that commercial content services classified as "18" are only available to adult users. O2 wanted a simple way for users to configure their new parental control service, designed to help parents ensure the safety of their children by restricting access to Internet sites available through mobiles. Eckoh developed an automated solution that verifies the callers age when they dial into the service. The system automatically identifies the caller by their mobile number and then uses advanced speech recognition to collect the details required from the caller to perform age verification to O2's robust standard. On successful verification, the service updates the profile held by O2 to enable the caller to access content and services classified as 18. Both telephone and web based self-service components are managed from Eckoh's highly scalable and fully resilient self-service platform, capable of handling 650,000 calls an hour and 8,000 calls simultaneously. The use of web based technologies and techniques form an integral part of the extended solution, drawing upon Eckoh's substantial web design and deployment heritage. Eckoh's browser-based business intelligence system further enables O2 to directly monitor call and web statistics, measured by volume, type of request and time of day, as well as the ability to track customer channel usage and service performance on a real-time basis. "Eckoh has demonstrated its capability as a service provider that has the necessary expertise and technical infrastructure to deliver an extremely robust solution. We are confident that the extended web capability will provide our customers with an even more convenient service whilst ensuring a high level of consistency across our contact channels, whether web or telephone based."